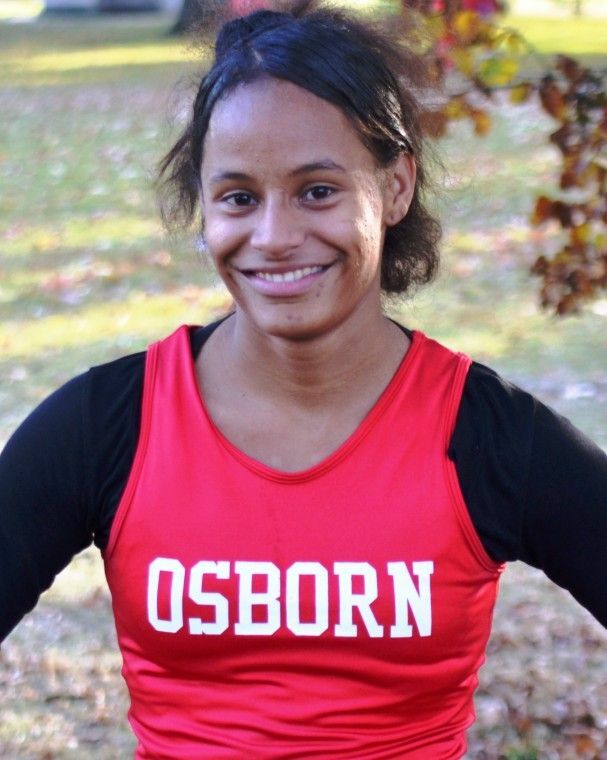 Osborn High senior Claudette Brookins has been among the leaders in Detroit Public School League girls’ cross country for two seasons, but Tuesday was the first time she finished as leader of the pack. Brookins charged to the front and led the entire 5,000-meter race, finishing with a time of 22:12, three seconds ahead of the second-place finisher. Osborn coach Lonell Williams agrees that Brookins’ change of shoes played a part in her first victory, but credits her will to win with being the biggest influence. Brookins also runs track and is the starting point guard for the Lady Knights’ varsity basketball team. She admits she only runs cross country because “I’m good at it. A student with a 3.8 grade point average, Brookins plans to major in English and pursue her dream of becoming a professional poet.